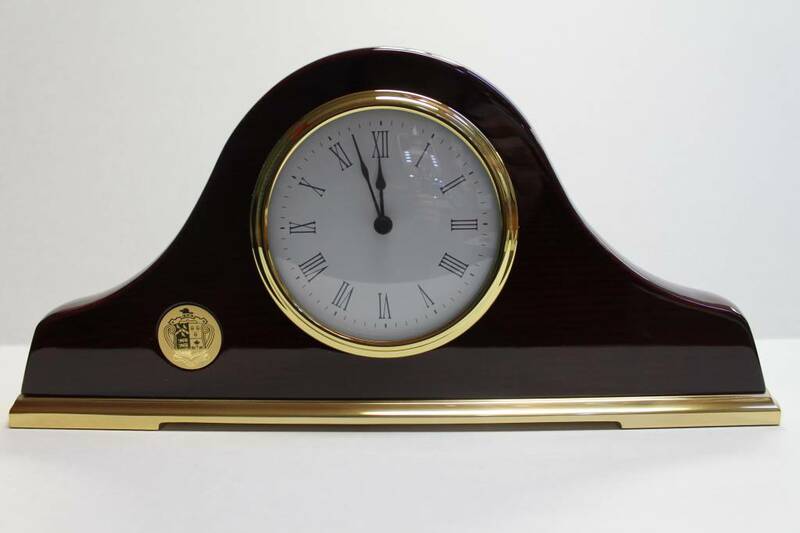 Rosewood finished mantle clock with gold-plated base. Medallion engraved with the Ridley crest. 14"x6.5"x2" Gift box.